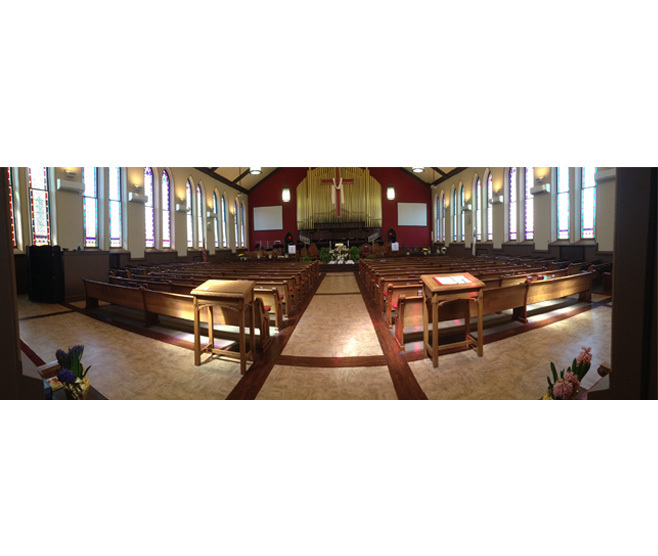 SEWICKLEY UNITED METHODIST CHURCH SANCTUARY RENOVATION — Burchick Construction Company Inc. The renovation of the sanctuary involved the complete removal of the elevated floor system, refurbishment of the perimeter wainscot, total demolition of the existing Chancel area and reconstruction of a much larger and more functional Chancel platform, new architectural finishes throughout, HVAC upgrades, lighting upgrades, significant electrical refurbishment, and updates to provide modern day code compliance. Other features included provisions for ADA access and enhanced audio-visual systems. The organ console and pipes were also refurbished as part of the renovation program. 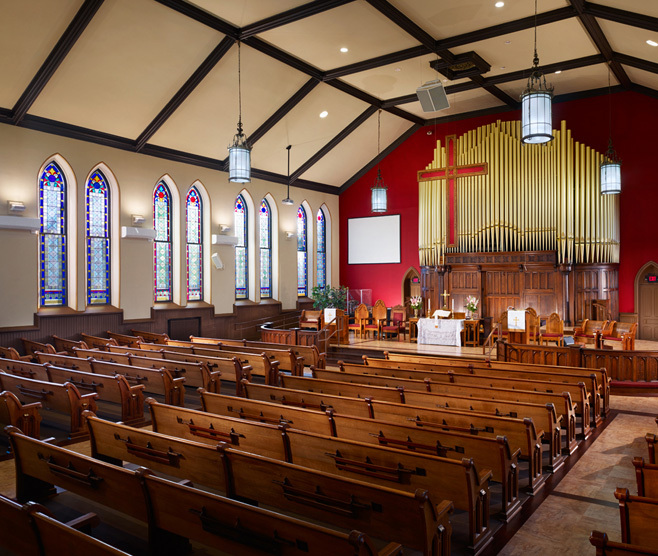 New architectural finishes were provided throughout the Sanctuary which include paint, resilient floors in the aisles, carpeting in the pew areas, and a reconfiguration and refurbishment of the existing pews. It was the desire of Sewickley United Methodist Church to initiate construction immediately after the Christmas holiday services and complete the project prior to the Easter service on April 20, 2014, as the Bishop was scheduled to perform dedication ceremonies on that day. Burchick Construction worked closely with the Design Team and Owner’s committees to successfully complete this quality project within budget and in compliance with the aggressive schedule requirements.